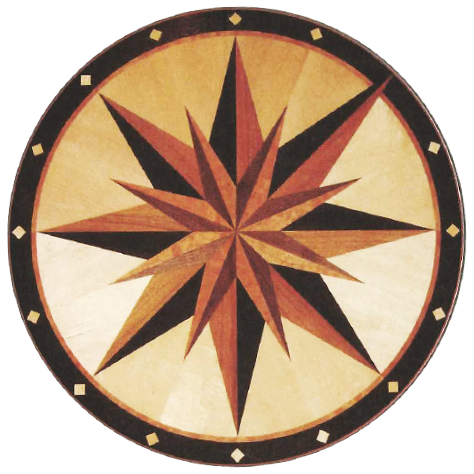 Knowledgeable Staff: All of our staff, from the sales associates to the installers, are trained to provide technical information in accordance with National Wood Flooring Association mandates. Ongoing training means our staff’s knowledge always remains current. Installers on Staff: Our installers are part of our team, which means each project is completed with consistency to our high standards. We visit each job site and meet with our crews bi-weekly to ensure compliance. Unlike material-only flooring shops, Touchwood warranties all materials and labour in writing. We handle all the liability insurance, WCB, and scheduling – saving you time, money and having to deal with multiple companies to get the beautiful floors you deserve. Our Showroom: Experience 1,500 square feet of prefinished hardwood, engineered and solid-sawn flooring, as well as unfinished hard and soft woods. You’ll know exactly how your choices will fit into your home as you walk on, touch and see the many options installed in our showroom. This comfortable, inviting space also features custom curved wood transitions, solid and strip flooring treads, custom borders and an expansive photo library. We have everything you need – and more – for the best flooring experience on the market. Takeaways: We know the many choices of flooring and all the information that goes along with it can be overwhelming, which is why we never pressure you to make on-the-spot decisions. Take-home samples and literature from our library is available for you to continue to assess your options in the comfort of your own home. Detailed Estimating and Job Site Preparation: Touchwood Flooring is your one-stop resource for beautiful hardwood floors. Our estimators provide a detailed breakdown of all the materials and labour you’ll need, along with what to expect during the installation and an outline of our warranty program. The job site preparation checklist ensures there are no hidden surprises when the crews arrive, and if you have any questions or concerns our helpful staff are happy to assist you. In-house Mill Shop: Our custom millwork shop is our pride and joy. From here, we provide those finishing touches that truly make your home unique. Custom curves, borders, solid treads, stair caps – these are just some of the ways we help you transform your home. Feedback is Welcome: In keeping with our mandate to ensure each and every client is completely satisfied, we leave a self-addressed survey on every job site – and we encourage you to fill it out and send it back. We are proud of our over 100% customer satisfaction rate, and we enjoy knowing where we can improve, and celebrating the achievements of our staff that went above and beyond on your project. Customer Service and Aftercare: From the moment you walk through our doors to long after your project is completed, Touchwood Flooring is here for you. Our customer and aftercare service means prompt follow up of all questions and concerns, and our service department is committed to quick dispatch to ensure your complete satisfaction.